www.webmd.com, the American Academy of Pediatrics and www.pathways.org. From helpless newborn to active toddler: It takes just 12 short months for your baby to undergo this incredible transformation. 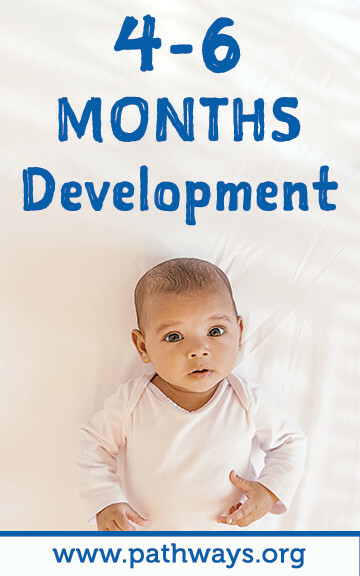 Babies grow and change at an astounding pace, and every month brings new and exciting developments. New moms and dads often wonder what to expect next and how to know if their baby’s development is on target. Instead of focusing too much on developmental milestones, however, it’s important to remember that babies all develop at their own pace. There’s a fairly wide “window” for when it is normal for a baby to reach a particular developmental stage. “If your baby reaches one milestone sooner, she may reach another one later, because she’s so busy perfecting the other skill,” says Jennifer Shu, MD, pediatrician, and co-author of Heading Home with Your Newborn. Some babies may say their first word at eight months, while others don’t talk until a little after the one-year mark. And walking may start anytime between nine and 18 months. 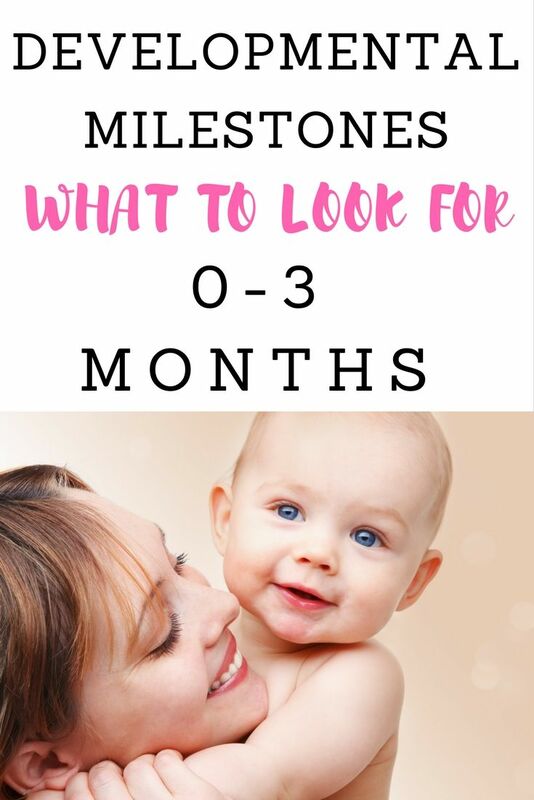 Keeping those kinds of variations in mind, here’s what your baby may be doing during each three-month stage of the first year. Smile. Early on, it will be just to himself/herself. But within three months, he/she’ll be smiling in response to your smiles and trying to get you to smile back at him/her. Raise his/her head and chest when on his/her tummy. Track objects with his/her eyes and gradually decrease eye crossing. Open and shut his/her hands and bring hands to his/her mouth. Grip objects in his/her hands. Reach for dangling objects, though he/she usually won’t be able to get them yet. Bonding is very important in these early stages. Hold and comfort baby when they are upset. Baby doesn’t know how to calm him/herself yet, which is why they need their parents. It’s not possible to give them too much love and attention. Your baby should always sleep alone. The safest place for your baby to sleep is in the same room as their caregiver, but not in the same bed. Parents can always position the baby’s crib next to their bed to easily maintain physical contact and encourage bonding. Your baby should always sleep on their back. Babies should be placed on their backs to sleep and on their tummies to play. Make sure that your baby does not overheat. Babies should be placed facing alternate directions in their crib to discourage resting on the same side of their head. For example, one night place your baby so their head is on the right side of the crib and the next night place baby so their head is on the left side of the crib. Your baby should always sleep in a crib. Use a crib or bassinet that meets current safety standards. Provide your baby with a firm sleep surface. Your baby should sleep alone in an empty crib – keep loose bedding, bumpers, and toys out of the crib as this can increase your baby’s risk of suffocation and entrapment. Avoid using sleep positioning devices because there is no evidence that these are effective and in some cases, they pose a danger to babies if they roll out the device. These guidelines have been created by the American Academy of Pediatrics. Tummy Time helps your baby to develop the neck, back, and shoulder muscles needed to meet infant developmental milestones. It may also help prevent early motor delays and conditions such as flat head syndrome (positional plagiocephaly) and twisted neck (positional torticollis). The American Academy of Pediatrics recommends placing babies on their backs to sleep and on their tummies to play. Roll over from front to back or back to front. Front-to-back usually comes first. Babble, making sounds, imitating language. Reach out for and grab objects (watch out for your hair), as well as manipulate toys and other objects with his/her hands. Sit up with support and have great head control. Rolling over doesn’t mean Tummy Time is over! Tummy Time is great to play with the baby. Peek-a-boo and singing help keep baby’s interest. Lay your baby on a blanket, mat, or carpet to give them the necessary sensory experience of touching many different textures. When should you start my baby on solid foods? Start spoon feeding baby with a variety of thinly pureed fruits and vegetables, such as bananas, peaches, and squash, and single-grain cereals, mixed with breast milk or formula. Every time you introduce unfamiliar baby food, wait a few days before trying anything new. That way, if your baby has an allergic reaction, you will be able to identify the cause. Remember to continue providing breast milk or formula until their first birthday. Solid foods alone do not meet all of baby’s nutritional needs during these early stages of feeding development. For the first year, avoid feeding your baby cow’s milk, honey, salt, and artificial sweeteners. Their digestive system cannot process cow’s milk, and honey contains spores which may lead to infant botulism. Wait until your baby is in a comfortable state before introducing anything new. They’ll be more open to new experiences if they aren’t tired, cranky, or sick. Baby’s teeth will be making their appearance soon! Don’t be surprised if they chew on their hands or their gums are a little swollen. Chill a wet washcloth for them to chew on for comfort, but don’t give them anything frozen solid. Start brushing as soon as baby’s first tooth appears. During the second half of this year, your little one becomes a baby on the go. After learning that he/she can get somewhere by rolling over, he/she’ll spend the next few months figuring out how to move forward or backward. If you haven’t baby-proofed yet, better get on it! Start to crawl. This can include scooting (propelling around on his bottom) or “army crawling” (dragging himself/herself on his/her tummy by arms and legs), as well as standard crawling on hands and knees. Some babies never crawl, moving directly to from scooting to walking. Respond to familiar words like his name. He/she may also respond to “No” by briefly stopping and looking at you, and may start babbling "Mama" and "Dada." Clap and play games such as patty-cake and peekaboo. Learn to pull up to a standing position. Observes environment from a variety of positions – while lying on back or tummy, sitting, crawling, and standing with assistance. Begin feeding himself/herself. Babies at this developmental stage master the “pincer grasp“ -- meaning they can hold small objects such as O-shaped cereal between their thumb and forefinger. Cruise, or move around the room on his/her feet while holding onto the furniture. Say one or two words, and "Mama" and "Dada" become a specific name for parents. The average is about three spoken words by the first birthday, but the range on this is enormous. Point at objects he/she wants in order to get your attention. Begin “pretend play” by copying you or using objects correctly, such as pretending to talk on the phone. Take his/her first steps. This usually happens right around one year, but it can vary greatly. As your baby approaches their first birthday they move and “talk” more than ever before. This is a very exciting time as your baby becomes more independent and gains new skills. Give your child space to explore and discover on their own. Baby-proofing is key because baby will start climbing and pulling on furniture. It won’t be long before they are walking on their own. Your little one is moving and cruising! Now the challenge is to make sure your house is ready for your toddler’s new explorations. It’s helpful for parents to experience the environment as their baby will. Parents should crawl on the floor in the area their baby will be, look for objects that could be potentially dangerous for the baby, and remove them. If your stove allows, consider removing the knobs and placing them out of baby’s reach, especially if baby can turn the knobs and accidentally turn on the burners. Use a safety latch on the toilet – this will also help toys from getting thrown into a cool, new “pool”. Make sure to keep hair dryers, and curling irons away from the edge of the counter. Cords hanging down are tempting to pull! Mount larger furniture to the wall, if possible. As your little one pulls to stand they will reach for whatever’s nearest to them. Make sure what they’re pulling up on is as sturdy as possible. When guests come over, place purses and bags in high up places where baby can’t get into them. Make sure all rugs have non-skid material on the bottom since the baby is still unsteadily walking. Keep laundry detergent and other dangerous materials on high shelves and out of children’s reach. Block off rooms you don’t want baby exploring and staircases with baby gates. Watch the windows. Tie up blinds cords so they are out of reach. Cushion the corners of tables and other sharp edges. Keep in mind that when you go to family and friends’ houses they may not be baby-proofed. Babies are curious so be sure to closely watch baby so they don’t get into things that are unsafe. Outlets, cords, and potentially dangerous items safely covered or put away at your house may not be put away at a friend’s house. While baby-proofing gives you a little piece of mind and helps protect the baby, nothing replaces keeping a close eye on your child as they begin walking and exploring their surroundings in a whole new way. If you’ve planned ahead and made the environment as safe as possible, you’ll feel more comfortable letting your baby explore their surroundings, while keeping an eye on them.